“We’re teachers and we do everything that we are supposed to do. Teachers become teachers, [and] we don’t rock the boat. When people ask us to do something we do it. We’re polite, we’re not rabble-rousers,” said 57-year old Mario Garcia, a teacher at Mary Belle McCorkle elementary school in Tucson. Now, Garcia said he was seeing a major shift. Veteran teachers said that their colleagues, once apolitical, are quickly turning into activists. 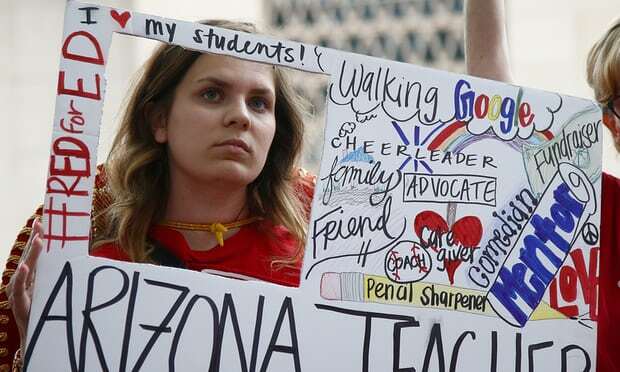 Be the first to comment on "‘We’re being assertive’: Arizona teachers feel new power as strikes set to end"